As someone has said before, poetry makes us think its words, music makes us feel its tones, but song makes us feel its words. It’s a theme fit for Kafka: a person gets lost in the maze of YouTube, never to return. For music-lovers the daily-expanding selection of videos online is astounding — and gratifying. The very young are exploiting the medium with an abandon that acts out a democracy beyond the dreams of Jefferson. I recently met an exorbitantly gifted 18-year-old pianist who has publicly documented much of his repertory on YouTube, beginning with a performance when he was only 3 years old. Last evening I enjoyed one of those online feasts in front of the screen and want to point to a couple of particularly valuable videos. The first is a talk given by Gérard Mortier recently in Denver. I won’t characterize it or prejudice other potential viewers, except to make one observation: the man’s love, yea passion, for opera is manifest and to me, at least, inspiring. Here is the video link, courtesy of Opera America. Imagine my surprise when I took a bus tour to Cremona and, as I got onto the bus, there was Magda! Magda Olivero may well give us all hope through her demonstrations that it is possible still to keep doing fine things at an advanced age. Perhaps one reason Olivero has aged so gracefully and sung so well for so long is that she has been a true diva onstage but was not above taking ordinary bus tours. To say that someone lives on after his or her earthly journey is ended is a cliché that is easily tossed off. 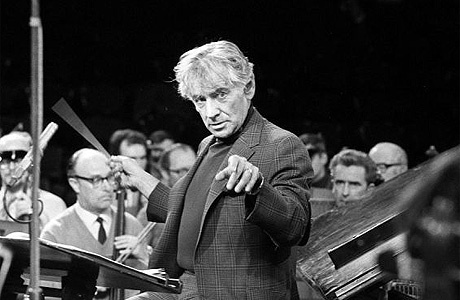 But I was struck again at a concert last night with how profoundly right this worn image can be in the case of Leonard Bernstein. One of the boons of New York summers is the explosion of free music — much of it outdoors. But a classical series that starts on Monday combines the casualness of summer with the comfort of an indoor venue for appealing artists whom we may not have encountered before. And did I mention the price of tickets? We owe these concerts to the River to River Festival, Pace University, and Classical Action (which has been lauded here before). 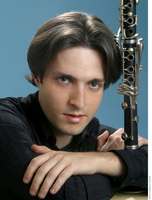 The first concert in the Summer Stars Classical Music Series will be given by rising young clarinetist José Franch-Ballester. Here’s the link to the whole classical series, which I’m looking forward to visiting as much as possible. But there are many other riches of all kinds on the calendar, so it’s a good chance to broaden horizons — from river to river, in fact. 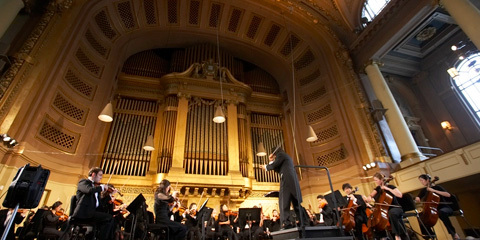 Yale School of Music Teams with Beijing’s Central Conservatory of Music to Host “Musicathlon,” A Cultural Prelude to the Olympics. The Yale School of Music and Beijing’s Central Conservatory of Music will host students from ten of the world’s most elite schools of music this summer in Beijing. The concert halls of Beijing will be filled with concerts, lectures and master classes for two weeks prior to the start of the Olympic Games, from July 9 to July 24.